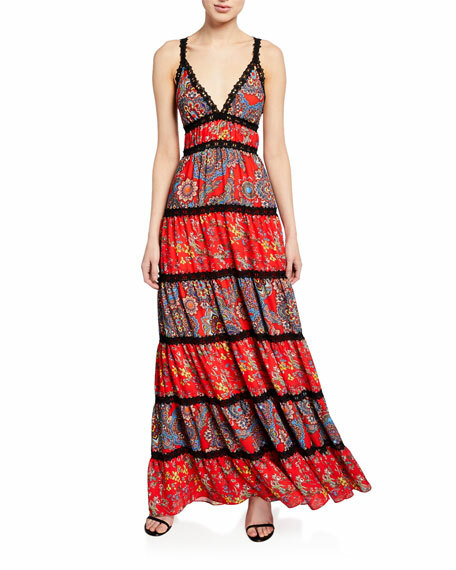 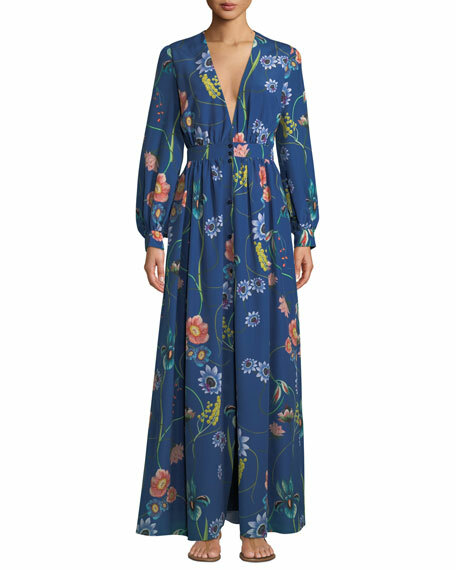 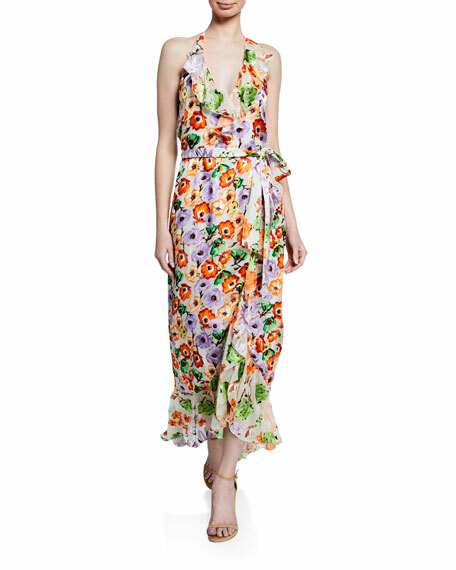 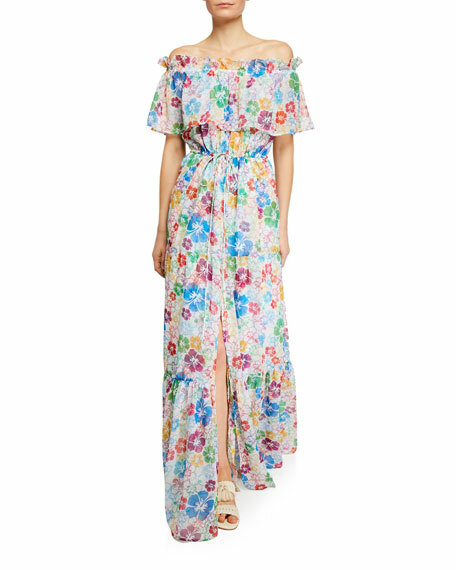 Derek Lam 10 Crosby floral-print dress with plisse ruffled tiers. 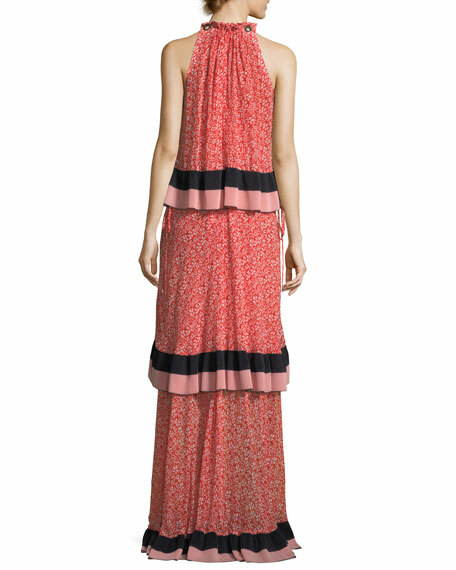 High neckline with grommet details. 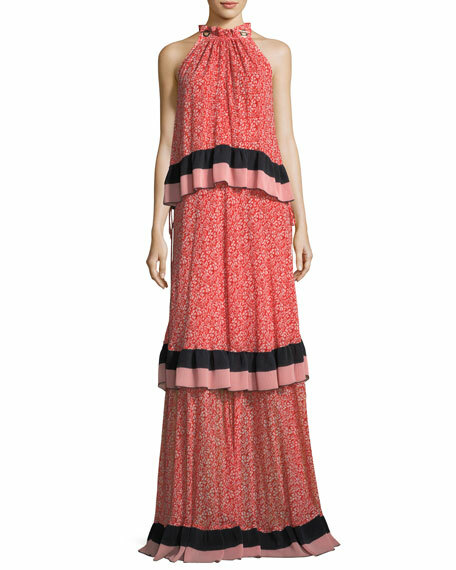 For in-store inquiries, use sku #2429271.